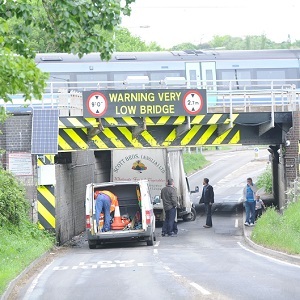 Network Rail is urging van and truck drivers to “wise up and size up” their vehicle after a transit van was the 15th vehicle to hit a railway bridge in Cambridgeshire this year. The bridge is Britain’s second most bashed bridge and sits on the line between March and Manea over the B1098 Sixteen Foot Bank Road. It has been struck by a range of vehicles including vans, high trailers and caravans, some of which have become stuck underneath. 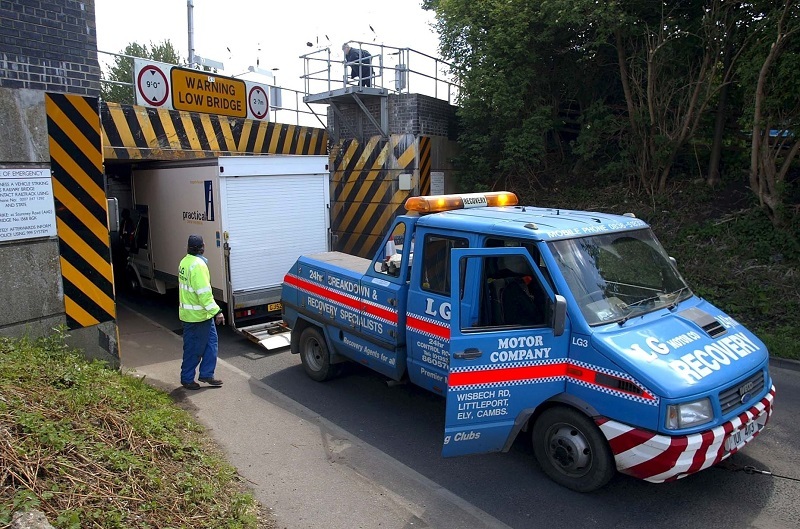 The most recent incident, on October 3, involved a transit van that became wedged underneath the bridge. On September 8, a car carrying cycles on top struck the bridge, and on July 10 and 16 caravans struck the bridge. A trailer carrying machinery became stuck while being pulled by a pick-up truck on July 9. With a height restriction of only 2.1m (7ft), any vehicle larger than a standard car is at risk. An alternative route, using the level crossing next to the bridge, is available for drivers in large vehicles. 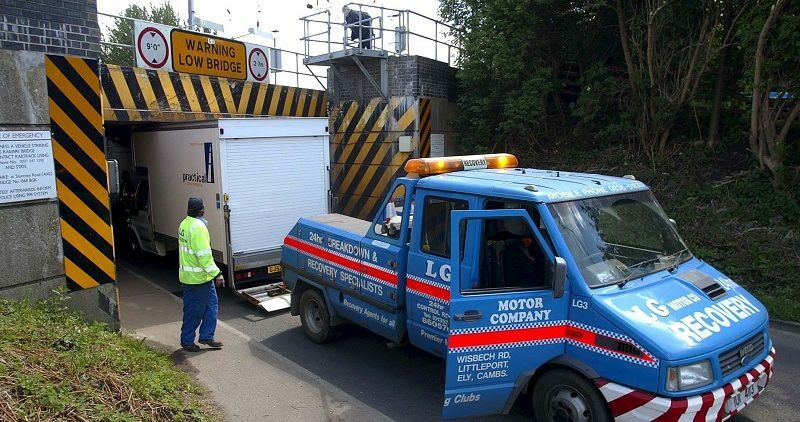 Meliha Duymaz, Network Rail’s route managing director for Anglia, said: “Despite being clearly marked, this bridge is being driven into by irresponsible drivers causing unnecessary disruption to railway and road-users. This can be avoided if drivers take the time to size up their vehicle and anything they may be towing before they set out on their journey. To keep everyone safe, all bridges are examined when hit by a vehicle, which can cause delays to rail services. In some cases, it’s necessary to carry out repair work before reopening the railway line and road.